She studied fashion and photography in Italy at the European School of Design and Callagaris respectively. She also studied pattern matching-garment finishing with private workshop in Rome at “Signora Madame Inetti” and was guided and inspired by none other than ‘Valentino’ who saw immense promise in her work and advised her to take up ‘Fashion’ as a vocation. Having worked briefly afterwards in Camberra (Australia) with Designer Maggie Shepherd she came to India in 1992. 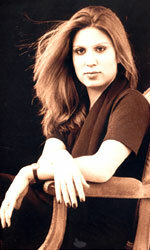 In 1996, She won the Best Designer Award At ‘The Miss India Femina’ even before her label was formally launched. Late 1996/97 saw her label in Chennai for the 1st time in Fashion Home Studio Saks and later on in Folio, Based in Bangalore and Chennai. Rehane opened her flagship store on KNK road in the year 1998 and has since moved to a larger premises in 3 years. She has also supplied garments to Westside under their label and Lifestyle under her sub label. ‘ExRehane’. On the export front she has worked with buyers prior to Lakme India Fashion week 2003. Doing surface ornamentation and embroideries on stoles for mainly the Italian market. On the flamour front the Rehane label dresses were almost wore by every contestant participating in the Miss India pageant every year- Jackie Vergese, Swetha Jayshankar to name a few. Her clientele boasts of the who’s who in Chennai. She also designs in leather and is a prominent feature at every leather show that happens every year in Chennai at the Leather Trade Show. She specializes in prêt and diffusion. Her look is mainly indo-western, keeping the Indian market in mind. She presently sells not only from her store in Chennai but from Kimaya (Bombay), Oorja (Hyderabad) and Ogaan (Delhi).